PLANS are at an advanced stage for heavyweight pugilist Elvis Moyo to defend his World Boxing Federation African heavyweight title in a bout set for Harare next month. South African-based Kalakoda Promotions are organising the bill that will have eight supporting bouts on August 25. Kalakoda Promotions are working with Kwese TV in organising monthly boxing fights in different countries. In an interview from South Africa, Steve Kalakoda said Kenya's heavyweight boxer Bernard Adi had agreed to fight Moyo, whose ring name is Bulawayo Bomber, in Harare and spoke highly of the Zimbabwean fighter. "We're working on modalities to stage a title fight in Harare on August 25. We plan on having eight supporting bouts, with some of the fighters coming from South Africa and other Sadc countries. The main bout will be between Elvis Moyo and Bernard Adi of Kenya. 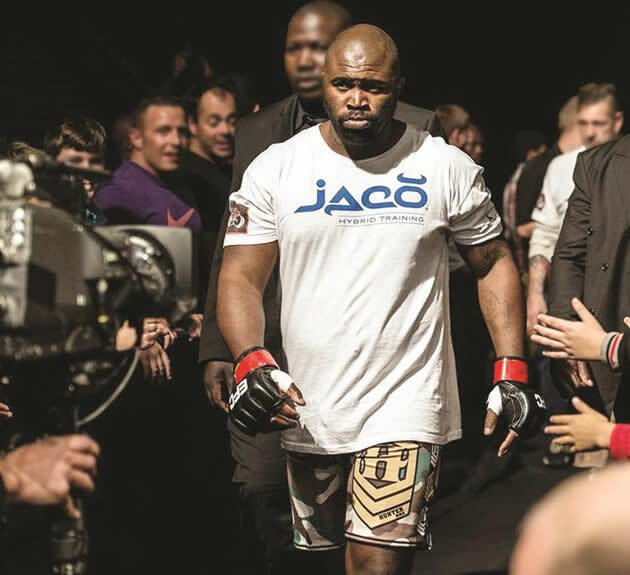 "I think this fight will open more opportunities for Moyo, who has been restricted to cage fights in South Africa. He (Moyo) has potential and can go places through boxing. Hopefully the people of Zimbabwe will come in their numbers to support their boxer and others who will fight on the day," Kalakoda said. Moyo, who fights Britain's Stuart Austin in a cage fight at Sun City in Rustenburg, South Africa, on Saturday, will prepare for the August bill against Lucian Lupepe in the Namibian coastal city of Swakopmund later this month. The boxer who was banned from boxing in South Africa in 2014 for competing as an MMA athlete, said he is happy to get challengers for his WBF title. Moyo's last boxing fight was in November 2013 against Osbourne Machimana in a WBF African heavyweight title fight in Cape Town. "It's high time I get back to the boxing ring if I'm to realise the dream of competing at UFC. The agents said I need to box more because my strength is boxing. Since I can't box in South Africa, I've been hoping to get fights back home and now I have been presented with two fights in Namibia and Zimbabwe, thanks to Kalakoda Promotions," said Moyo. According to BoxRec.Com, Moyo, has four wins from 11 boxing bouts. His victories were against Kali Kalembe and Stephen Castle at Emperors Palace in 2011, Justice Silinga (2012) and Machimana in November 2013. Moyo has lost five times to Danie Venter, Joseph Chingangu, Flo Simba and Ilunga Makaba, who knocked him out twice in 2008 and 2010. Moyo's draws were against Machimana at the beginning of last year and Jonny Muller in 2010.